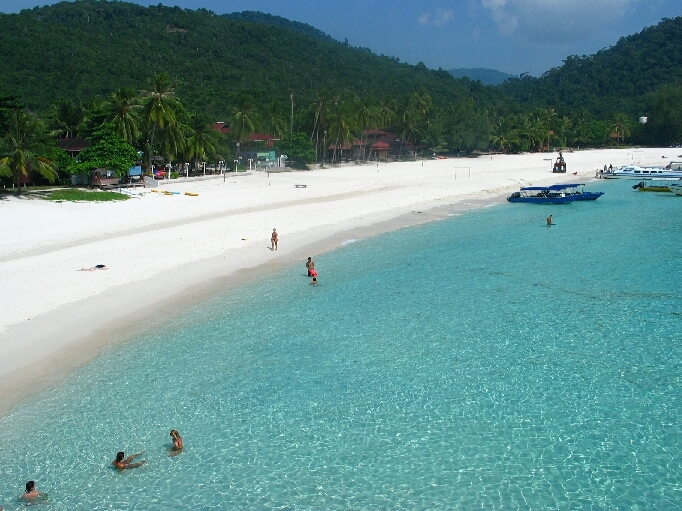 What’s this hare brained idea of turning Pulau Redang into a luxury island? Pulau Redang is a lovely island located off the northeastern state of Terengganu and has been a popular destination for tourists and Malaysians for many years. It’s one of the few islands left in Peninsular Malaysia that are actually worth visiting for its clear waters and rich marine life. Okay yes, as more and more tourists descend on the island, the stress and pollution has threatened to damage the ecosytem but does it warrant this idiotic proposal announced by the Terengganu state government that the island should now be turned into a luxury resort??? According to the MB, Datuk Ahmad Said, “Only hotels rated five-star and above will be allowed to be built… as it was the only way to save the surrounding rich marine life” !!!! Hasn’t the good menteri besar thought of alternative solutions like restricting the number of visitors to the island like they do to Sipadan? Or upgrading the facilities of the numerous chalets to stop the problem of direct dumping of sewage into the sea? Robbing a national treasure from Malaysians and handing it over to some fat cats IS not the way to handle this. Let’s hope public opinion will get the state government to re-think their proposal. If anyone knows of any cause that’s campaigning against this, let me know – I’ll be the first to join! Is this going to be the next playground of the rich and infamous?? Posted in Malaysia and tagged Malaysian Government, Tourism. Bookmark the permalink.